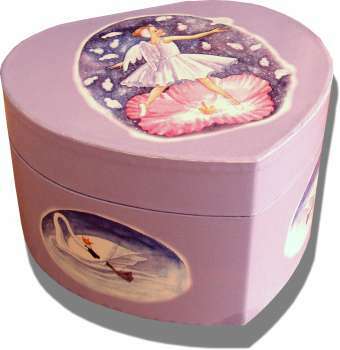 A heart shaped childrens music box with a swan ballerina with falling feathers on the lid. When the lid of this music box is lifted the tiny figurine pops up and revolves to the tune. 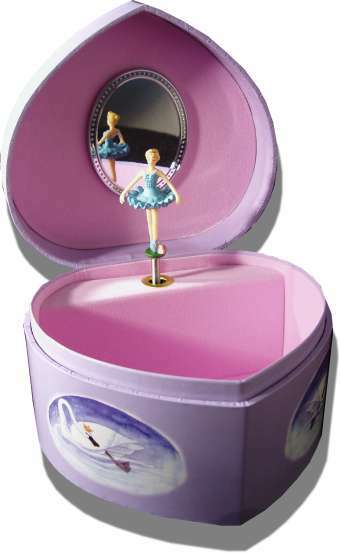 This music box plays "Skaters Waltz".